Under this proposal, PHADA is offering a “proportionality plan“ to Congress and the Presidential transition team that calls for the temporary suspension of restrictive and burdensome regulations in years when operating and capital funds fall below a 90 percent proration. We call the concept “proportionality” because it is based on the principle that, when the federal government only partially funds public housing, HAs should be required to comply only partially with certain regulations. The plan allows housing authorities to choose from a menu of options that allows the waiver of selected regulations to generate income or realize savings in proportion to an individual housing authority’s funding shortfall. The items HAs choose would depend on what works best in their markets and what would have the least effect on public housing residents. 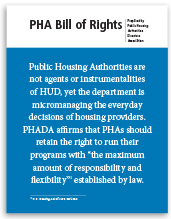 PHADA’s Board also felt compelled to publish a “Bill of Rights” to rebalance the housing authority relationship with HUD. 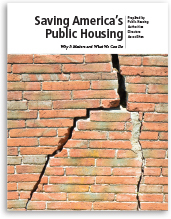 The idea was conceived by our members who have grown weary of HUD’s continual intrusion into the autonomous operations of individual public housing authorities over the past few years. In the PHA Bill of Rights, we remind readers that housing authorities are independent public entities established under state and local laws. Some in Washington fail to recognize our independent status and that lack of intergovernmental respect sometimes results in fewer people housed and at greater expense than otherwise would happen. 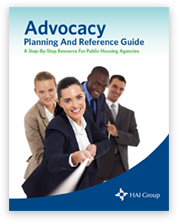 This Guide and the associated materials contained herein are made available through a grant from Housing Authority Insurance, Inc. (HAI, Inc.) HAI, Inc. sponsors programs for its membership including insurance and risk management programs, scholarship and internship programs and charitable activities. HAI, Inc. is a nonprofit association incorporated in 1987, and a member of HAI Group, a family of companies dedicated to serving the public and affordable housing industry. The publication is available online in PDF format by clicking here. Allows housing authority executive directors to compare salaries and compensation with those of their colleagues around the nation. The survey is divided by region and PHA size to enable the most useful analysis, and includes additional questions recommended by PHADA members. Over 1,100 responses make up this year's results. 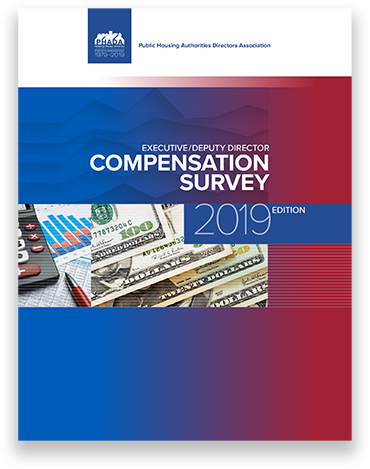 To order your copy of the 2019 Compensation Survey, print the PDF order form and return via U.S. mail or fax to: 202-543-4381. This sixteen-page booklet with fold-out poster details seven problems with the current rent system and offers two possible solutions: a tiered rent structure and a percentage of gross income rent structure. Either solution would help encourage earned income, maintain affordability, and simplify the complicated rent structure. The publication is available online in PDF format (booklet, 5.1MB; poster, 798KB). The fold-out poster is also available in GIF format for PowerPoint presentations. 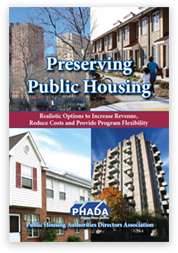 The PR Perspective—a collaboration between PHADA and Rutgers University— gives public housing executives and leaders a resource for establishing a strong communications and public relations (PR) program. If your agency doesn’t have a PR professional on staff, The PR Perspective will help you with strategies to gain public support for your programs and properties. Executive directors and staff members have so many various and pressing responsibilities that the practice of public relations has often been lacking in our industry. But without it, we will continue to struggle to gain the advocates needed to sustain our programs for future generations. 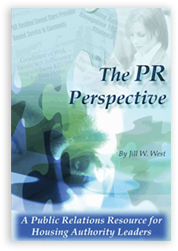 The PR Perspective Order Form View form in PDF and print out. Submit order via U.S. mail or fax. 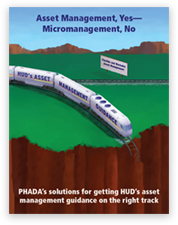 PHADA’s publication on HUD’s flawed asset management guidance, will help housing authorities and Congressional representatives alike understand the issues involved in HUD’s implementation of asset management.